Amazon is a different animal than any other marketplace, fortunately Zentail offers different ways to manage your Amazon catalog directly on Zentail! Tags - not required, enter your keywords here to improve Amazon search optimization. Some Amazon Product Types will require additional attributes than those listed in Step 1, these required attributes will be listed under the Amazon Critical Issues. UPC to ASIN matching is available on a per-SKU basis for both the EasyList and Desired ASIN fields. EasyList is a listing framework Zentail has developed which simplifies the process of listing SKUs to competitive listings on Amazon. At the bottom of this article, we review instances when you should use EasyList and instances when you should not use it. Our original system for listing to Amazon would send all product data to Amazon. This caused issues with Amazon frequently rejecting SKUs because one or more attributes attributes did not match the ASIN's data. By using EasyList, if you want to list to a specific ASIN, just use our ASIN Matcher or manually paste the ASIN into the EasyList ASIN field. Instead of sending all product data which gives Amazon the chance to reject your feed, all Zentail does is sends SKU, ASIN, Title, Description, Condition, and Marchant Shipping Group. The title does not need to match Amazon's title. Scroll down to the "EasyList ASIN" field under General Info - Note: If you have a valid UPC, you can match the UPC to the ASIN by clicking on the "Browse" button. There are a number of situations where we recommend using EasyList. When you do not have complete product data in Zentail but you still wish to sell on an ASIN on Amazon. When you have data in Zentail that differs from the data on an Amazon ASIN, but you still wish to sell on that ASIN. This most often occurs when Amazon has poor quality data for an ASIN. If you have control over an ASIN on Amazon, you should not use EasyList. This prevents Zentail from sending the full product information to Amazon*, which is something they require when you have control over an ASIN. This is most common for sellers with their own Brand. If this is the case, you should remove the ASIN from the Easylist ASIN field on Zentail, and simply keep your UPC / EAN / ISBN / GTIN filled in. *Note: EasyList means Zentail will only send SKU, ASIN, title, description, condition, and shipping group to Amazon. 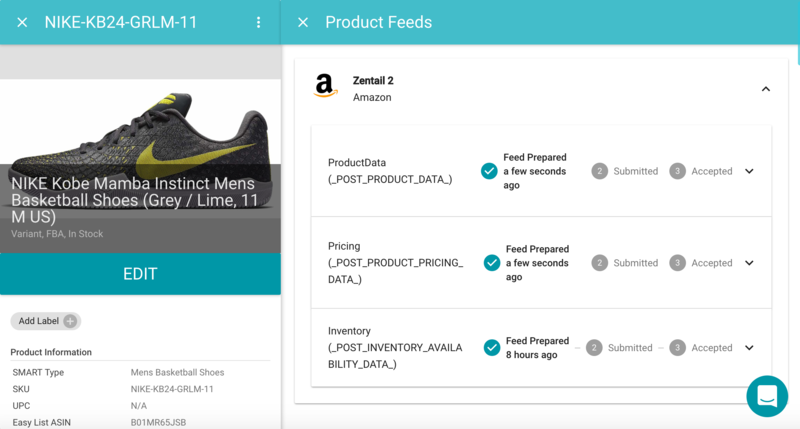 Notice that unlike when sending full product data to Amazon, EasyList only generates feeds for Product Data, Pricing, and Inventory and no feed for Images. Note: If both the EasyList and Desired ASIN fields are filled out, Zentail will default to EasyList. Imagine you control an listing on Amazon and another seller uses your UPC to create a totally different ASIN on Amazon. You then list from Zentail with the UPC as the primary identifier and Amazon takes that data and publishes your listing on the alternate (and wrong) ASIN. Never fear! 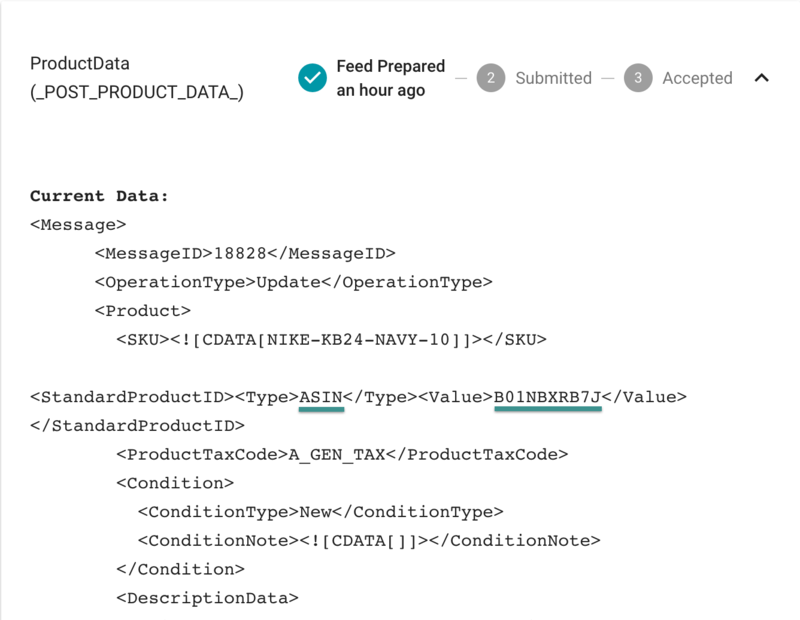 Zentail gives you the option to send full product data for to a specific ASIN! Scroll down to the "Desired ASIN" field under General Info - Note: If you have a valid UPC, you can match the UPC to the ASIN by clicking on the "Browse" button. Notice that we are sending full product data with the Desired ASIN as the primary product identifier. 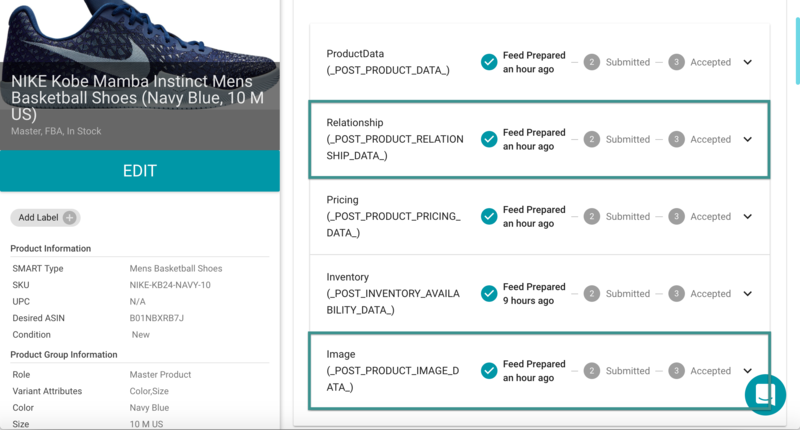 When sending full product data, we will also send Image feeds as well as Relationship feeds for variation groups from the Master SKU.